Our Cardinals are playing their 3rd Top 25 team straight and 2nd straight Top 25 team on the road Saturday afternoon. #22 Florida State has a four-game winning streak and the Seminoles have won 10 of their last 11 home games. This Florida State team is playing some of their best basketball of the season. They play solid on the defensive end of the floor ranked 79th in FG% defense and 55th in steals per game. They are a physical team and crash the glass ranked 57th in rebound margin. When you have to play a hard-nosed defensive and physical team on the road it’s going to be a challenge. To add to that challenge Florida State is also pretty good at getting the ball to the basket. They got six guys who can score consistently at every level. Florida State is running into a pretty good Cardinal Basketball team. They have been really good on the road this season where they are winning games by an average of 12 points this season. They have won 4 of their last five ACC Road Trips. Our guys are finding ways to score even when Jordan is being kept in check by teams. Dwayne Sutton has been a beast. And CC has been running the offense like the seasoned veteran he is. I really don’t know where this team would be without these guys. Steven, Malik, and Ryan are also averaging 8 points a game during this stretch. 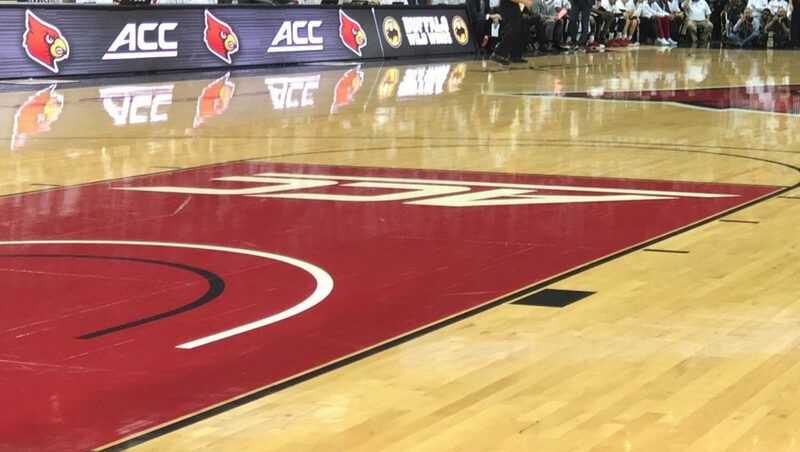 This Louisville team seems to play much looser and freely away from the Yum Center. For some reason, this team still gets the Home Game jitters. They have been all business away from the Yum Center and I really think they’ll match up well with FSU on Saturday afternoon. Louisville has been the more consistent team and the Seminoles have failed a few times this year to raise their game against quality competition and is just 4-7 against the spread this season at home. I expect a battle but one that the Cardinals will win. Enjoy it, folks!